Take pictures of children and their families during home visits, open house or the first day of school, or ask students to bring in a family photo. 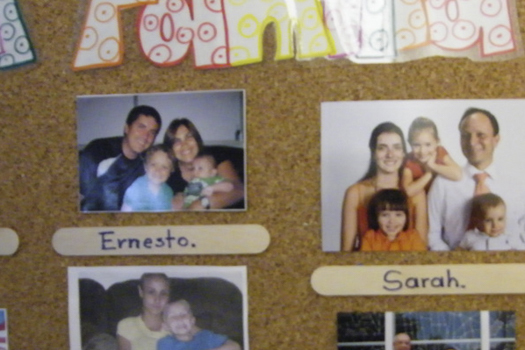 Put these images on a bulletin board titles “Friends and Family Board.” Add pictures of school staff the children will come in contact with. Update the images as needed.